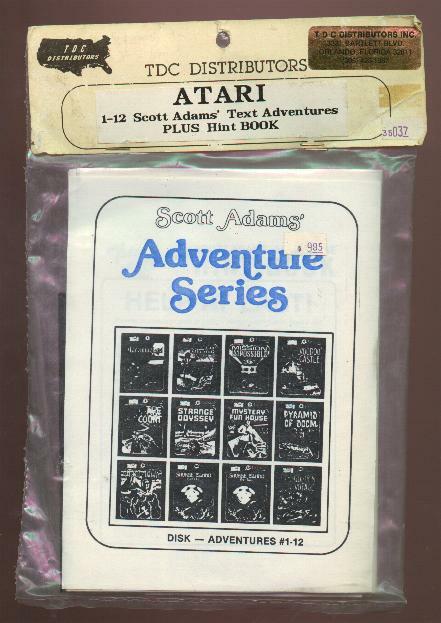 An early packaging of the entire Scott Adams Adventure Series, sold by TDC Distributors. It contains the original twelve adventures plus a hint book. Prior to 1980, the individual games were sold in plastic bags similar to this one, but with an AI paperboard tab at the top. A compilation of Adventures 1-12 also exists in this packaging.